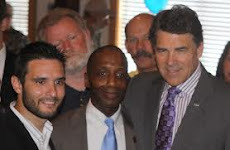 You didn't mention anything about Perry's steep cuts to education in the Texas budget. That's a pretty important part of what's going on in Texas public education right now. Care to comment on your Governor's choice to slash monies to public schools and state higher education institutions? I bet you could help clean up BISD better if you moved there -- just a suggestion. If you believe that then you are a bigger idiot than I had given you credit for. I guess you're fully aware of the "rainy day fund," then, and how Perry, with the swish of his Conservative pen, could save millions of teachers' jobs across Texas? The only money that was saved was the money that should have gone to education -- it was simply redistributed throughout the Texas budget in areas that Perry thought were more important (like maybe his salary and his mansion.) Teachers in the public school system as well as the state higher education system will not get a pay raise for years, on top of hiring freezes and cut backs. I guess that's a good way to save money, if you like having 35 kids in one classroom with one teacher with old textbooks. And although you've probably never bought any, textbooks are expensive, and that is what the budget is for! I also hate to tell you, Mr. Bellow, but national standardized education might not be a bad idea, considering how bad your Republican Governor, Dubya, jacked up Texas education with his "No Child Left Behind" grand idea. But I don't know how you'd know personally about all the problems in our public schools since your siblings, nieces, and nephews are HOME SCHOOLED. And look! They don't even want you in Beaumont!